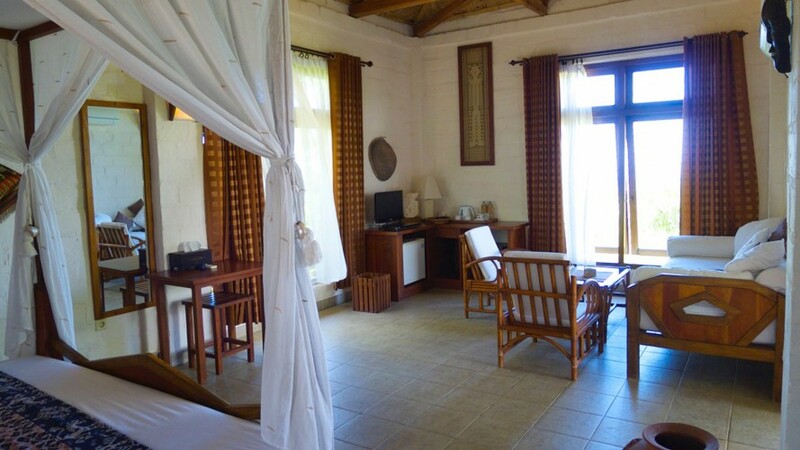 Sumba Nautil Resort is among the most renowned inn in Sumba Island. It boasts of excellent services, great locations and delicious food. 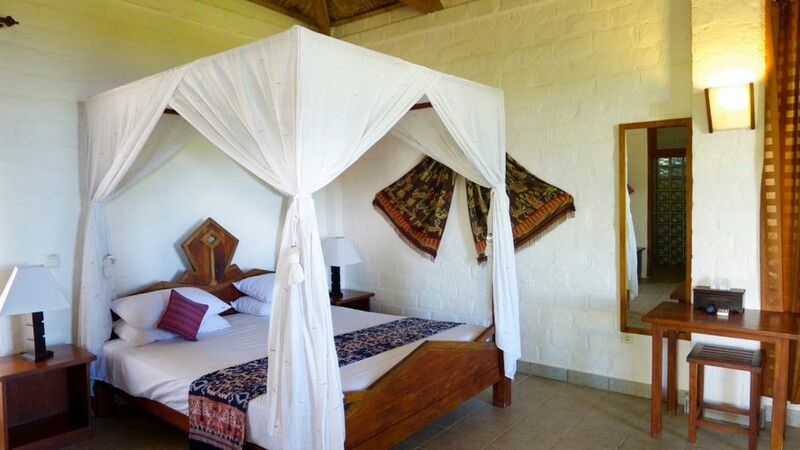 Comfortable accommodation with superb view. 7 spacious cottages (50 m2) - 4 of category Luxe , 3 of category Superior - with private terrace and day bed , are laying in a lush tropical garden , all facing sea and near restaurant and swimming pool. A stunning Sumbanese architecture restaurant offers delicious food carefully prepared : French, Western, International and Asian cuisine. The Bar provides a wide range of cocktails , spirits and wines. Good choice of books and infos about Sumba at Lobby. The Pool take advantage of a very nice and extensive panorama on sea, coastline and forested mountains, sunset is on sea. Facilities : reception lounge with Art shop , Library , TV with International channels, swimming pool with 2 sun terraces & loungers , Balinese style gazebo, tropical garden, entertainment on request (live music, traditional dances) – Laundry service – vehicle rental sports feasible (surfing – snorkelling – fishing – horse riding – trekking). 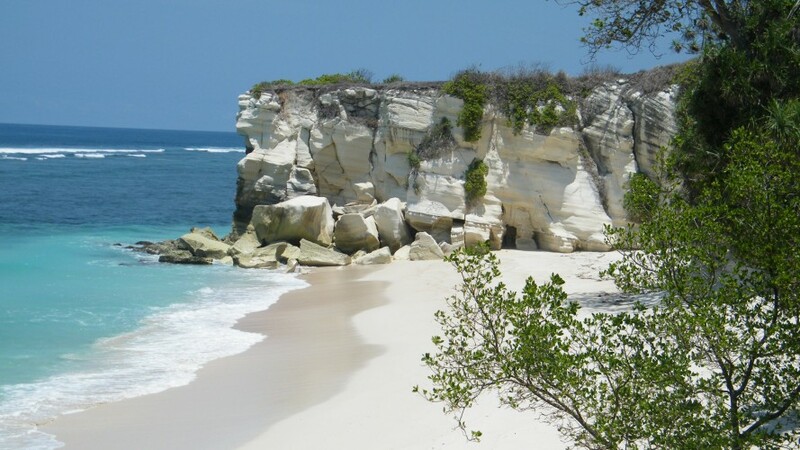 The unspoiled island of Sumba is geographically situated 400 kilometers East of Bali and South of Komodo and Flores Islands. 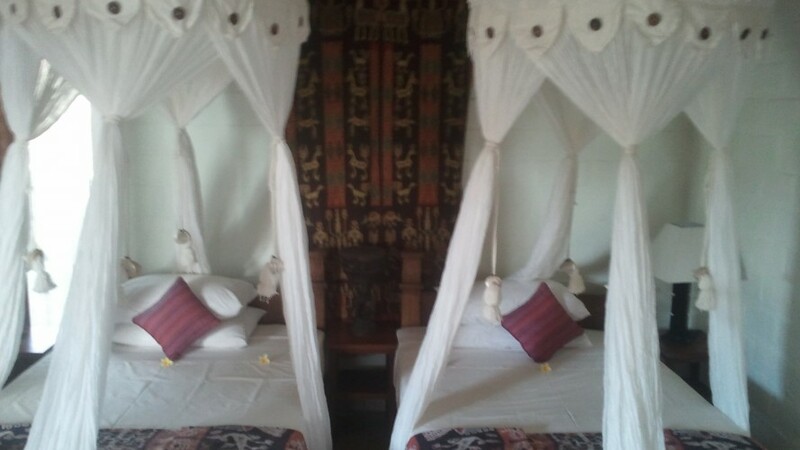 Sumba Nautil Resort take position in the middle of the most traditional and authentic region of Sumba. 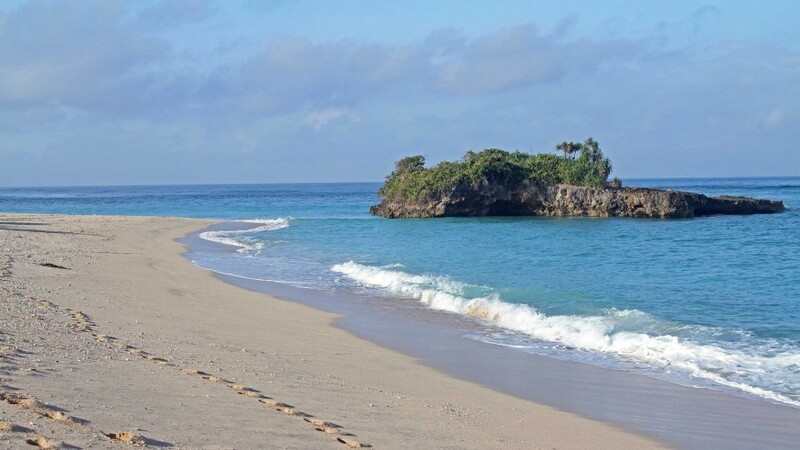 "Sumba Nautil and Pantai Marosi "